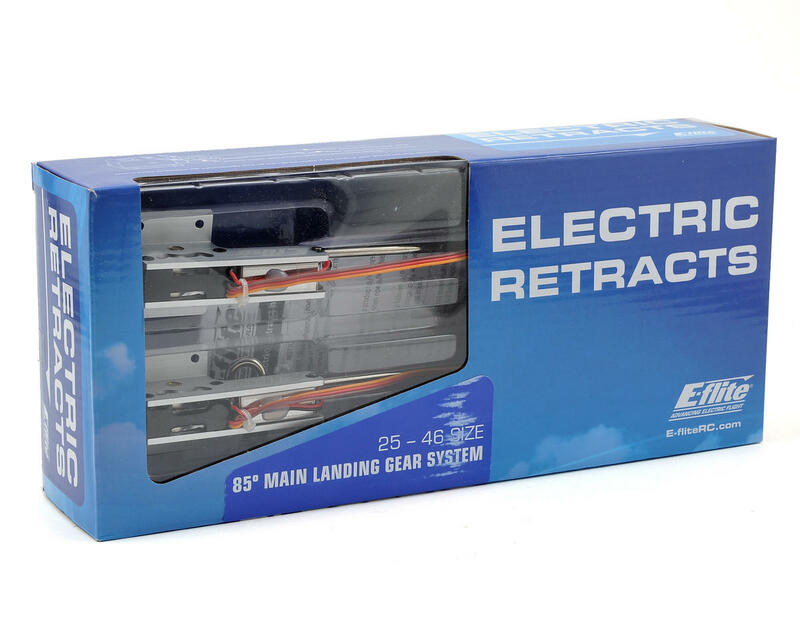 This is the E-flite 25 - 46 Size 85° Main Electric Retract Set. You don’t have to be a master modeler to add the realism of functioning retracts to your airplane. 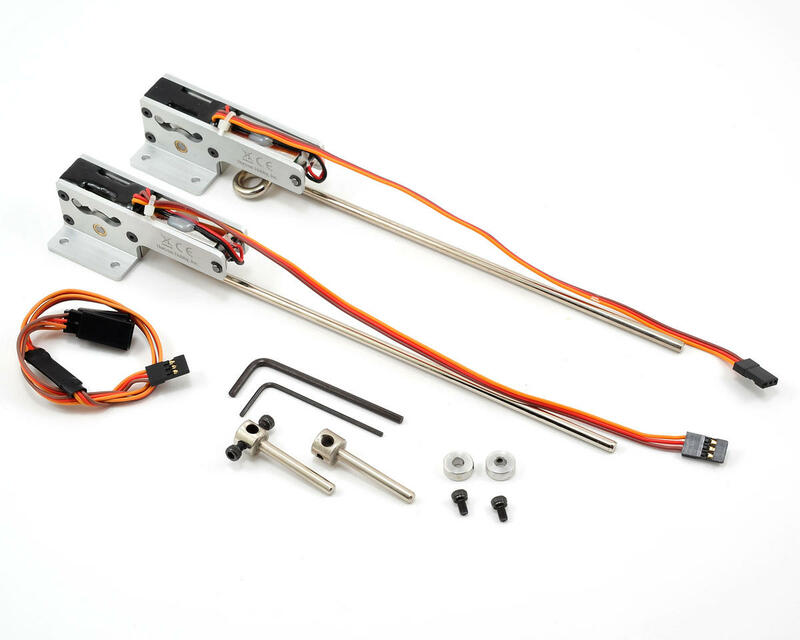 E-flite’s completely self-contained retract system doesn’t require an air tank, complex linkages or even an extra servo. Simply bolt it into place and plug it into the receiver.